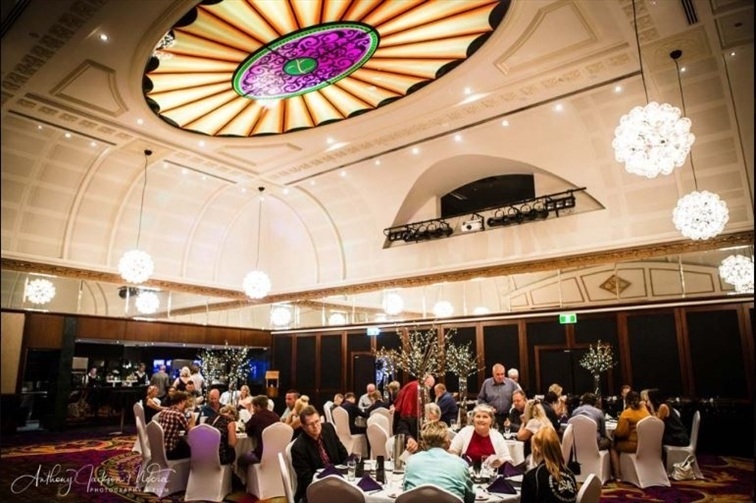 Whether you are wanting a small intimate wedding or a grand affair for up to 300 guests, Logan Diggers offers a variety of function rooms to fit you. You will find we also offer several set Wedding Packages each offering different inclusions. However, if you find that these packages are not suitable, please do not hesitate to contact our Functions Manager who will be more than happy to arrange for a tailor-made Wedding Package quote. Crystal Palace has beautiful 20 ft ceilings, a large dance floor, feature lighting and a large fixed bar. This room is perfect for those larger events. The room that changes colour to any shade that you require. This will create a total ambiance to any function big or small.